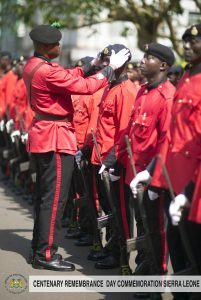 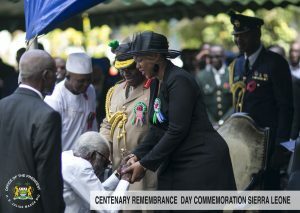 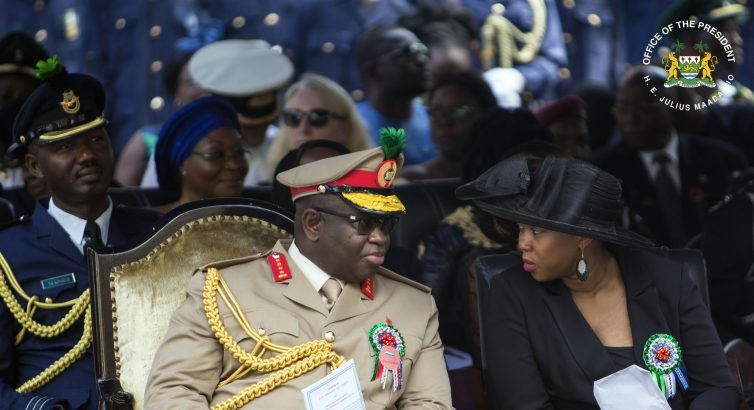 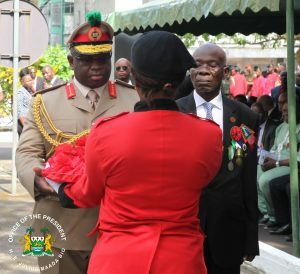 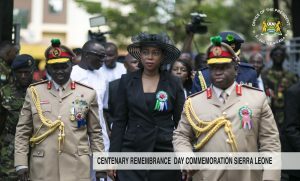 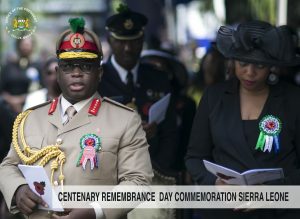 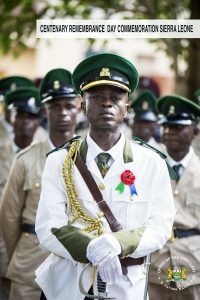 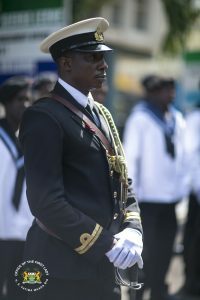  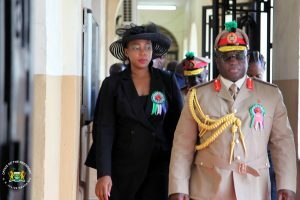 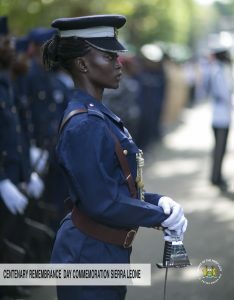 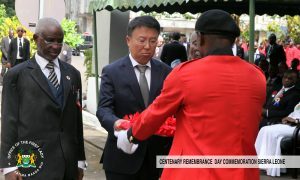 His Excellency President Julius Maada Bio and The First Lady of Sierra Leone, joined others around the world to commemorate the centenary Remembrance Day in honour of ex-servicemen and women who lost their lives in the line of duty at an interfaith ceremony held at the Cenotaph, Secretariat Building, George Street in Freetown. 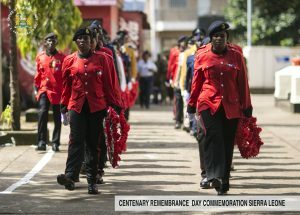 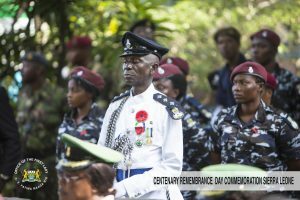 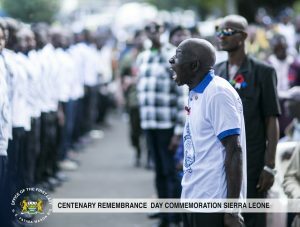 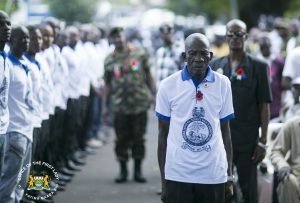 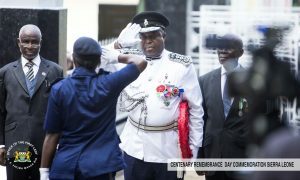 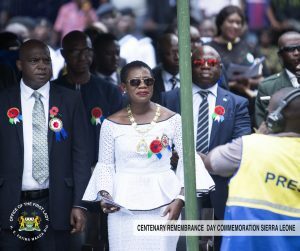 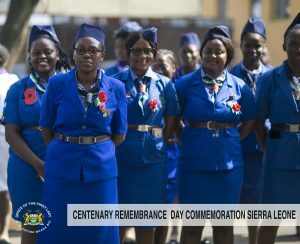 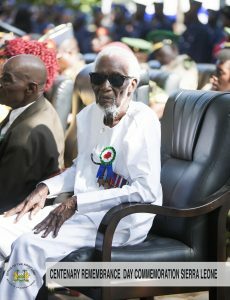 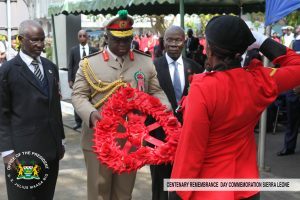 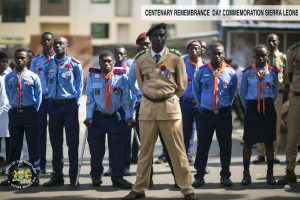 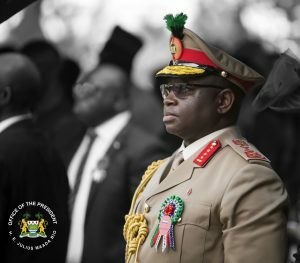 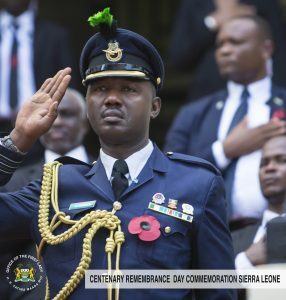 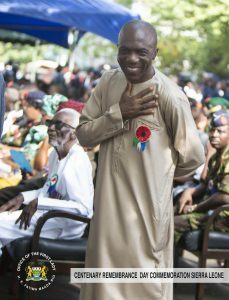 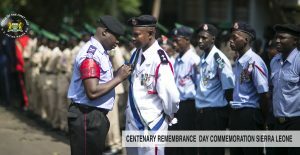 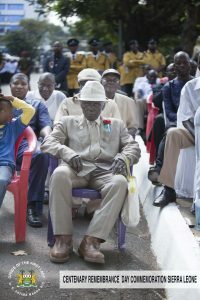 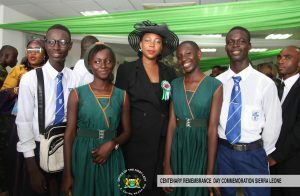 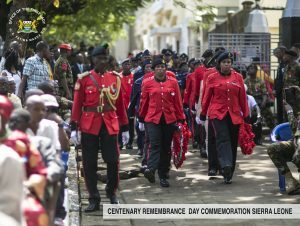 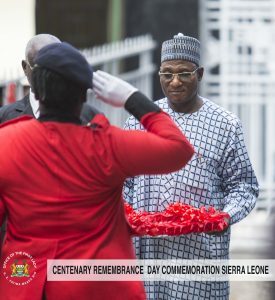 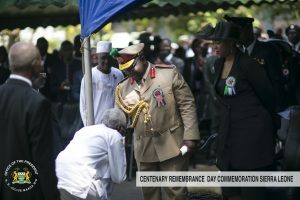 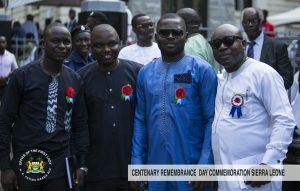 Shortly after the religious service President Bio, laid a wreath at the Cenotaph in honour of his compatriots who lost their lives during the World Wars, eleven years civil war and the Ebola epidemic in Sierra Leone. 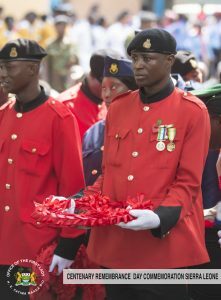 Also known as Poppy Day, the Remembrance Day is a memorial day observed in Commonwealth of Nations member states since the end of the First World War in 1918 to remember members of their armed forces who died in the line of duty. 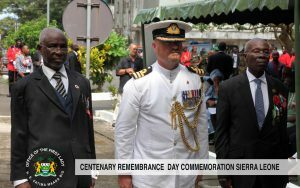 It is observed on the 11 November each year in most Commonwealth countries.